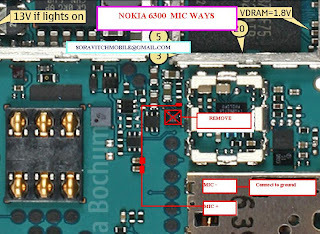 Nokia 6300 are often damaged in the audio section, especially the microphone. 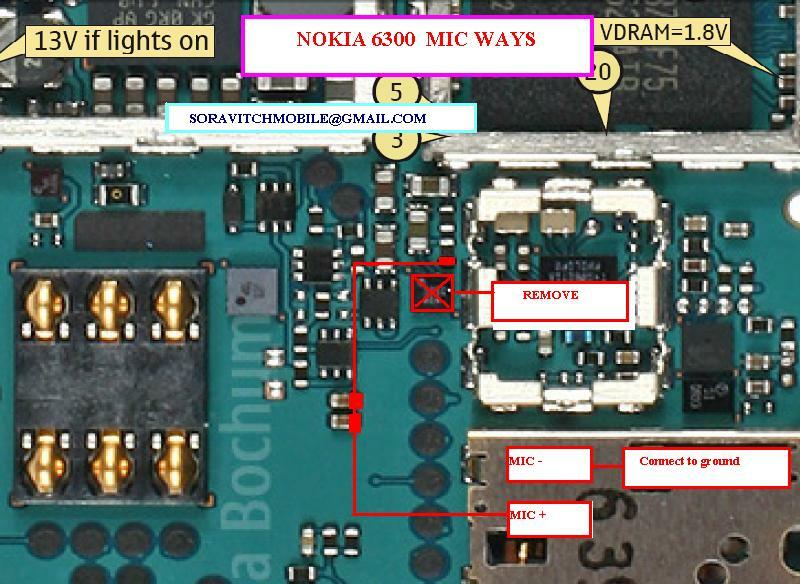 In this section I want to share ways to repair damage to the Nokia 6300 microphone.The following trick is to take off an IC, then do the wiring between the mic with the components around the IC is removed. Here is a picture, hopefully useful. Please download the picture here.